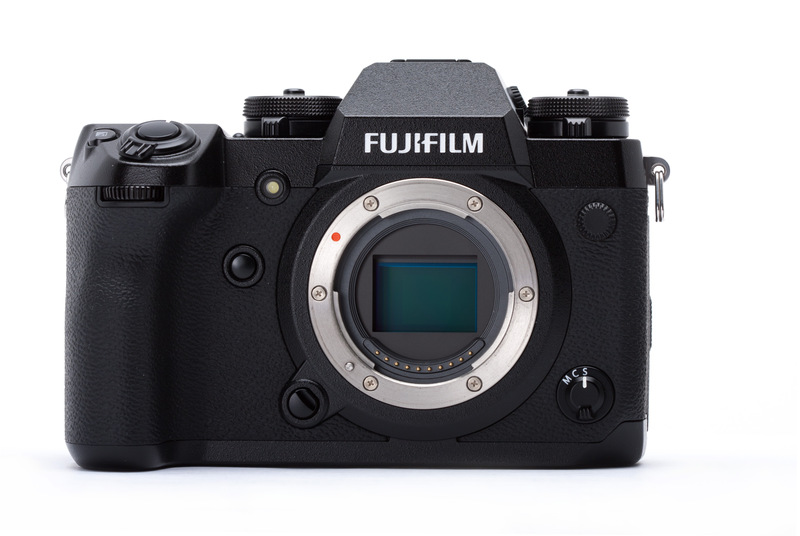 The Fujifilm X-H1 sits at the top of the company’s APS-C lineup, lifting expectations and capabilities beyond what was offered by the X-T2 that previously held the position. 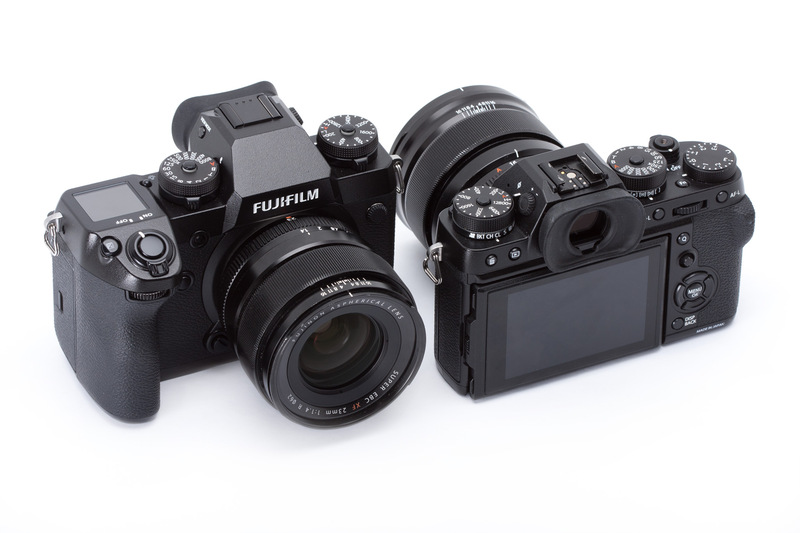 The price and feature set, as much as Fujifilm’s claims, make clear that it’s an additional model, rather than a replacement. So just what’s changed? What’s been added and who does the new model make sense for? The X-T2 offers 4K video, but the X-H1 takes things to a different level. Virtually every aspect of the X-H1’s video feature set is upgraded compared to the X-T2. Thanks to its larger internal volume it can shoot 4K for longer (15 mins compared to 10), and while the two cameras both impose a modest 1.17X crop, the X-H1 boasts a maximum bitrate of 200Mbps and the option to shoot F-Log internally. The X-H1’s new ‘Eterna’ film simulation preset is intended to provide a quick and easy way to shoot gradeable, wide dynamic range video footage. 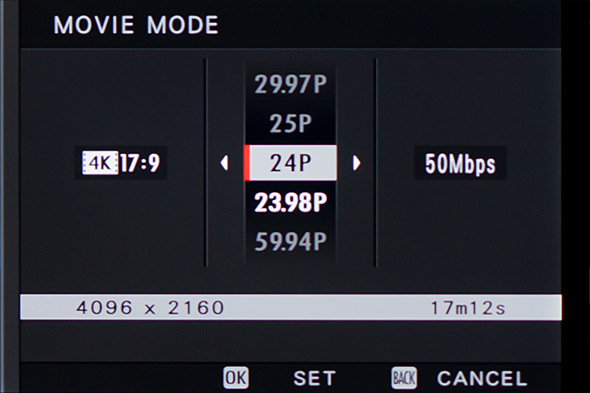 For the first time, you can apply dynamic range ‘DR’ expansion settings in video mode on the X-H1, too. When combined with the DR400%, setting, footage shot using the Eterna preset, Fujifilm says it should deliver a total of 12EV of dynamic range. Less obvious improvements, but equally significant to serious videographers include a video-specific shutter speed of 1/48sec, which will give a 360, 180 and 90 degree shutter angle for 24, 30 and 60p footage. If you don’t know what that means, don’t worry about it. But if you do, you’ll appreciate it. Likewise support for time code display, and silent touch operation, which enables exposure control via the rear touch-screen. Missing are any kind of exposure warnings, which (we’re told) would put too much stress on the X-H1’s processor. While it uses the same 24MP APS-C X-Trans sensor as the X-T2, the X-H1’s on-sensor phase-detection autofocus system has been seriously upgraded. The most obvious improvements are to low-light sensitivity and focus tracking. The X-H1 can now focus down to -1EV (compared to the X-T2’s limit of 0.5EV) and phase-detection AF should work even at effective apertures as small as F11 – i.e. when shooting at the long end of the XF100-400mm F4.5-5.6 zoom, when combined with a 2X tele-converter. In terms of tracking, Fujifilm quotes a substantial increase in autofocus hit-rate when faced with low contrast subjects and more reliable tracking during continuous bursts of images. Unlike the X-T2, the X-H1 can also continuously focus while zooming. 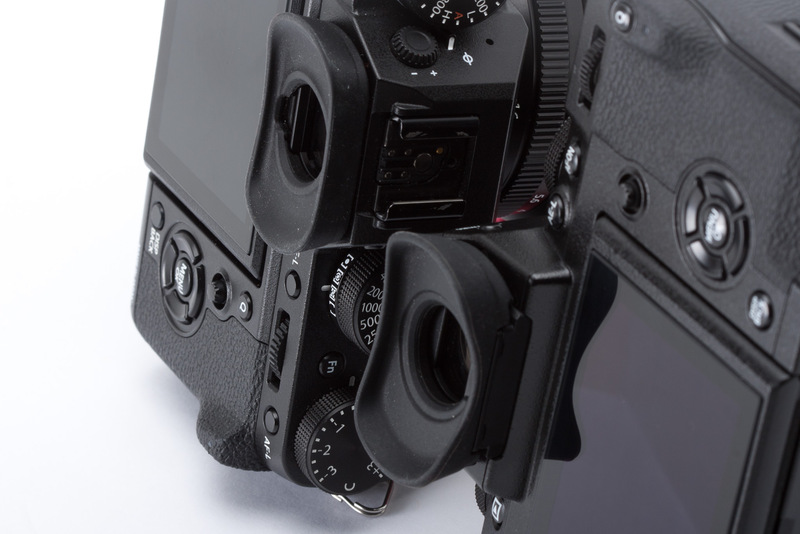 Both the X-T2 and X-H1’s autofocus systems look for horizontal, vertical and high-frequency detail, but whereas in the X-T2, this information is processed in series, the X-H1’s AF system benefits from parallel data processing. Quite how Fujifilm has managed this without upgrading the X-H1’s processor (which is the same as the one used in the X-T2) is a mystery to us, but it’s impressive. In terms of its external appearance, the X-H1 looks like a mid-point between the X-T2 and the medium-format GFX 50S. And in a sense (apart from the APS-C sensor) that’s exactly what it is. 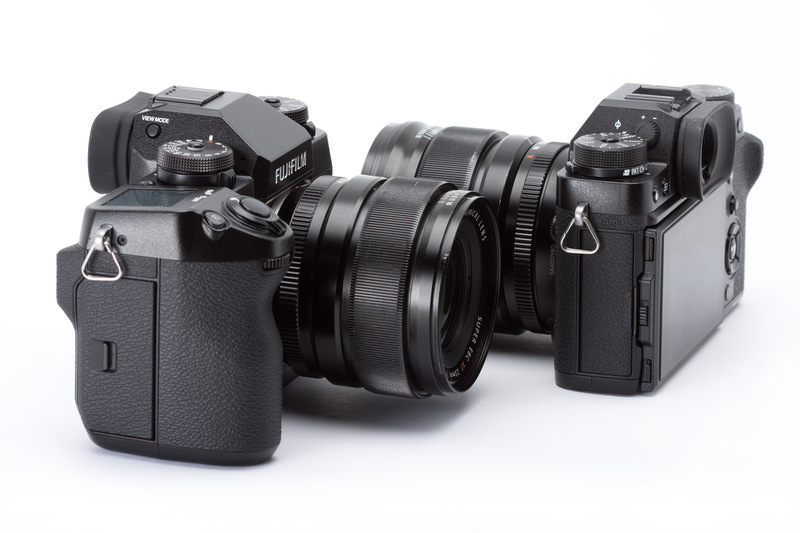 Fuji intends the X-H1 to be more ‘friendly’ to DSLR users, hence the larger grip and top-plate mounted LCD. 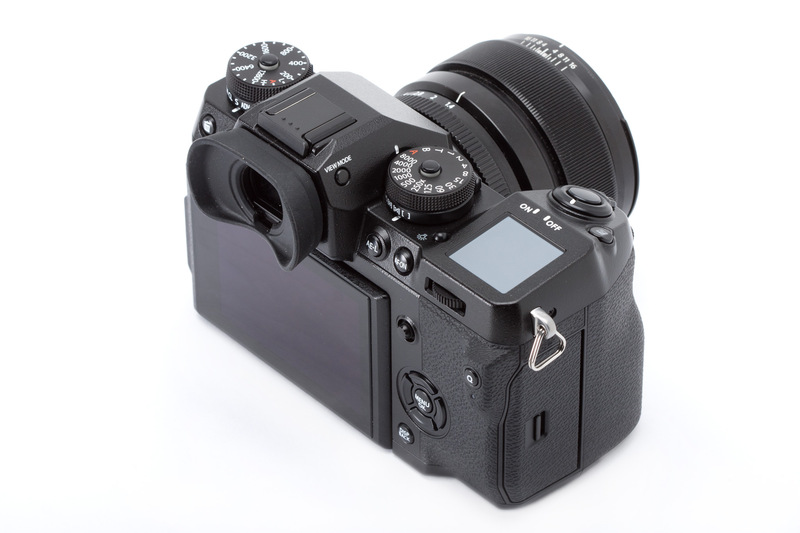 The LCD squeezed out the traditional Fujifilm exposure compensation dial, but exposure compensation (if applied) is permanently displayed on the LCD, even when the X-H1 is turned off. 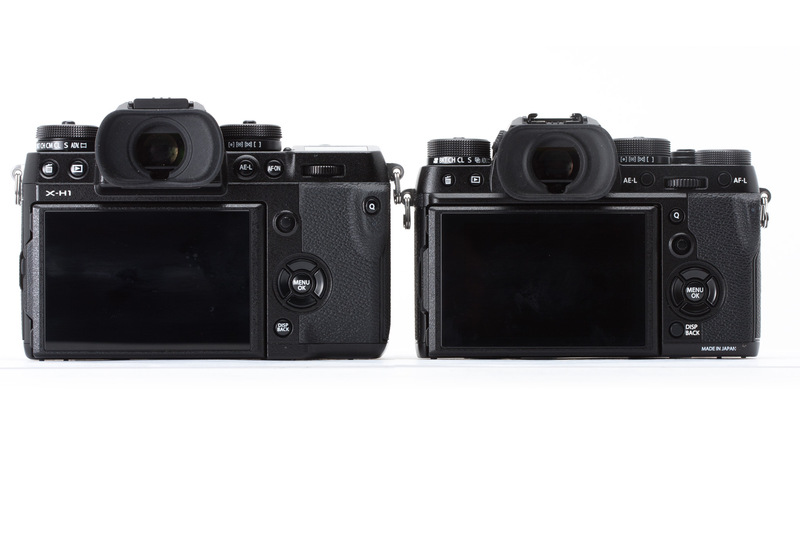 The X-H1 is a bigger camera than the X-T2 (140 x 97 x 86mm versus 132 x 92 x 49mm) and substantially heavier (673g versus 507g – with a card and battery). 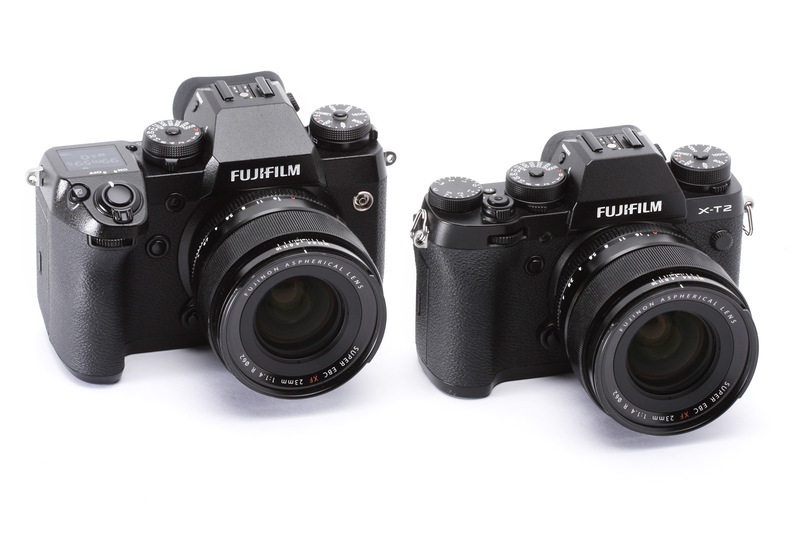 The magnesium-alloy body shell of the X-H1 is 25% thicker than the X-T2, too. It’s also more scratch-resistant, and substantially stronger. As well as being physically stronger, the X-H1’s body is well sealed against the elements, with 68 seals around body seams and control points. 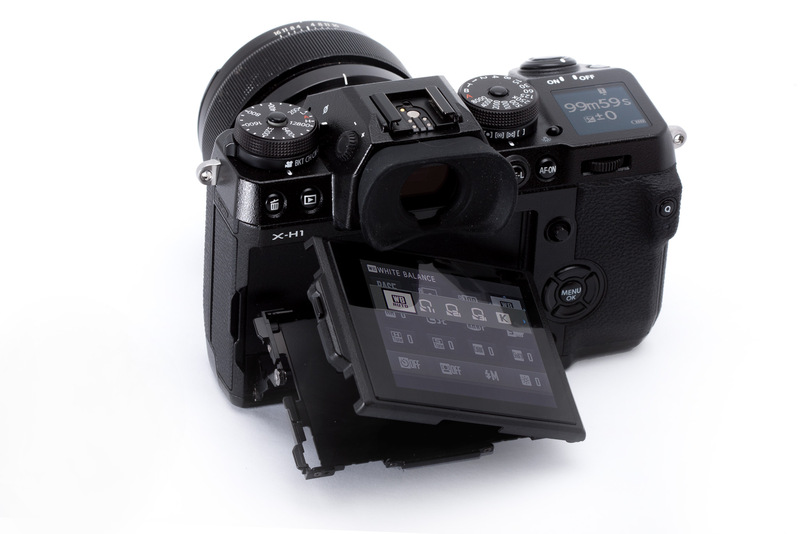 The X-H1’s shutter has been redesigned to offer a damped mechanical shutter mode, and electronic first-curtain (EFC) to reduce any risk of shutter shock. The other advantage is that this makes the shutter itself quieter. In use, both the X-T2 and X-H1 are pretty discreet cameras, but the X-H1 definitely has the edge in situations where the click of a shutter would be unwelcome. The X-T2’s electronic viewfinder is excellent, and the X-H1’s EVF is even better. It’s fractionally smaller than the X-T2’s finder (0.75X magnification compared to 0.77X) but brighter, and it offers a higher resolution of 3.69 million dots (compared to 2.36 million). A subtle but welcome improvement is the increased responsiveness of the eye-sensor, too. 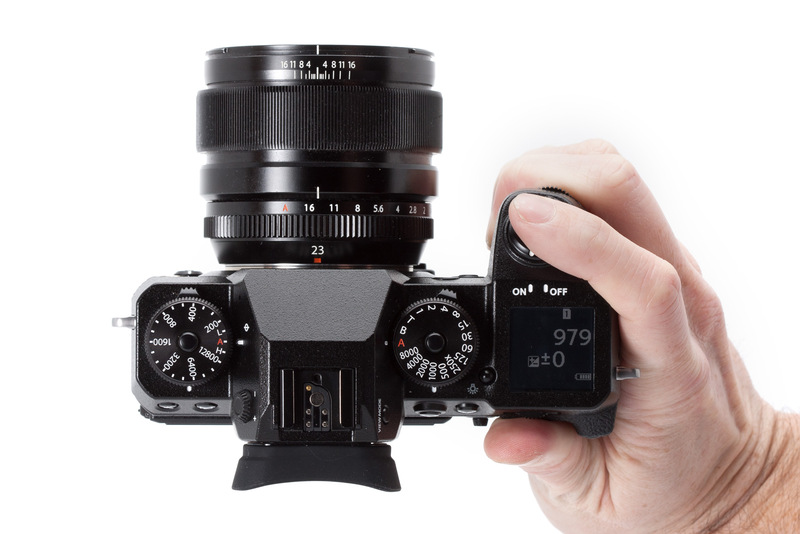 The X-H1’s eye sensor can react in as little as 0.15sec, when your eye is raised to the finder (compared to the X-T2’s 0.4sec). 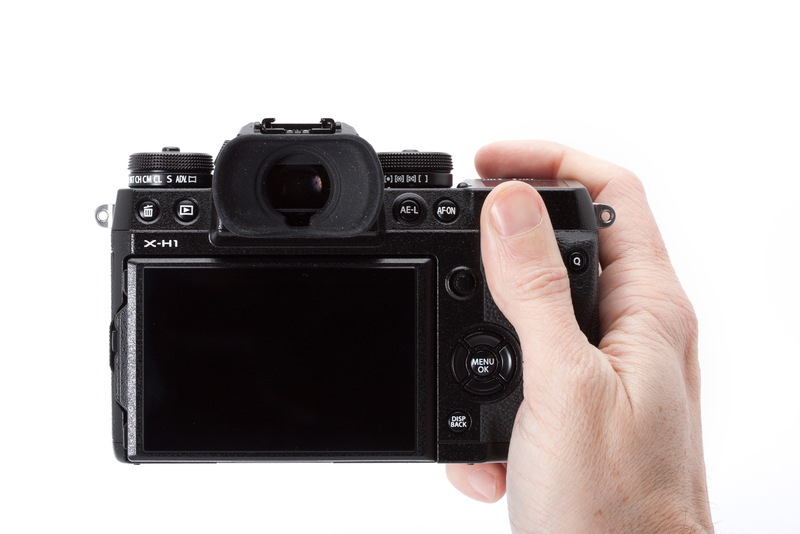 The X-H1 features the same articulating 1.04 million-dot rear LCD as the X-T2, but it’s touch-sensitive, allowing you to do all kinds of things, including place your desired AF point by touch, and quickly review and zoom into captured images with a fingertip. The touchscreen also enables the X-H1’s silent movie shooting operation, which is intended to avoid the vibration and potential for operational noise associated with mechanical click dials and buttons. Despite claiming in the past that it couldn’t be done, Fujifilm has added a 5-axis in-body stabilization system to the X-H1. 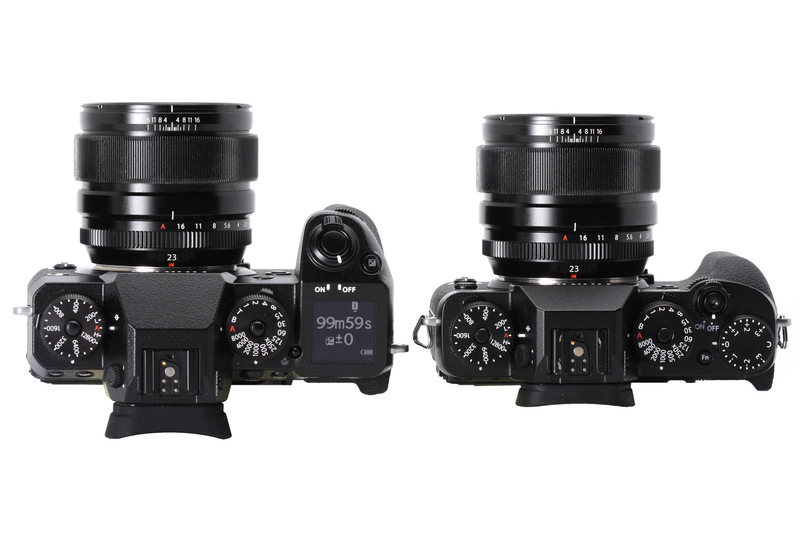 In general, Fujifilm’s faster primes – without OI.S. – should offer slightly better stabilization as a result of their larger imaging circle, but ~5EV of correction will be achievable with almost all XF lenses. The X-H1’s IBIS also works in video mode, which makes it more useful for ‘run and gun’ shooting, for example with the company’s excellent new MKX cine zooms. 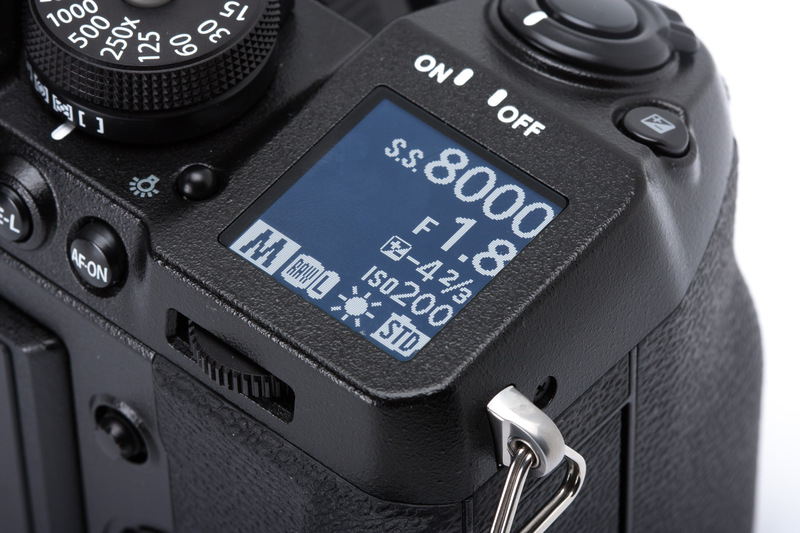 New in the X-series is flicker reduction for stills shooting. We’ve seen this function before in high-end DSLRs, and it works very similarly here: analyzing the fluctuation in brightness of certain artificial light-sources and timing exposure for the peak brightness. This avoids constantly fluctuating brightness when images shot in the same continuous burst. Continuous shooting speed is capped at 7fps in this mode with electronic first-curtain shutter, and 5.5fps with conventional mechanical shutter. Most useful when shooting indoor sports, flicker reduction is another feature that either you need it or you don’t, but if you do, you really do. Fujifilm has been putting ‘DR’ dynamic range expansion settings in its mirrorless and compact cameras for years, but the X-H1 expands on this (no pun intended) with a ‘Dynamic Range Priority’ mode. This has two settings: weak and strong, which use the camera’s existing DR modes in combination with flattening of the highlight and shadow ends of the tone curve. This gives a flatter, wider DR version of DR200 and DR400% modes, respectively. There’s also an ‘Auto’ setting that selects which level to apply. As well as built-in Wi-Fi, the X-H1 also includes low energy Bluetooth (BLE) for full-time connection to a smart device. This can either be used to auto-transfer all the images to your smartphone (either at full resolution or as 3MP downsized versions), when you turn the camera off. Alternatively the Bluetooth connection should make it faster to reconnect the Wi-Fi if you want to choose which files to send. The X-H1 has been beefed-up in many respects, compared to the X-T2, but it still features the same battery. In one sense this is great news for X-T2 owners who might be thinking about upgrading to the X-H1, or adding one to their kit. However, the additional demands of the IS system sees the battery life take a small hit, compared to the older model. 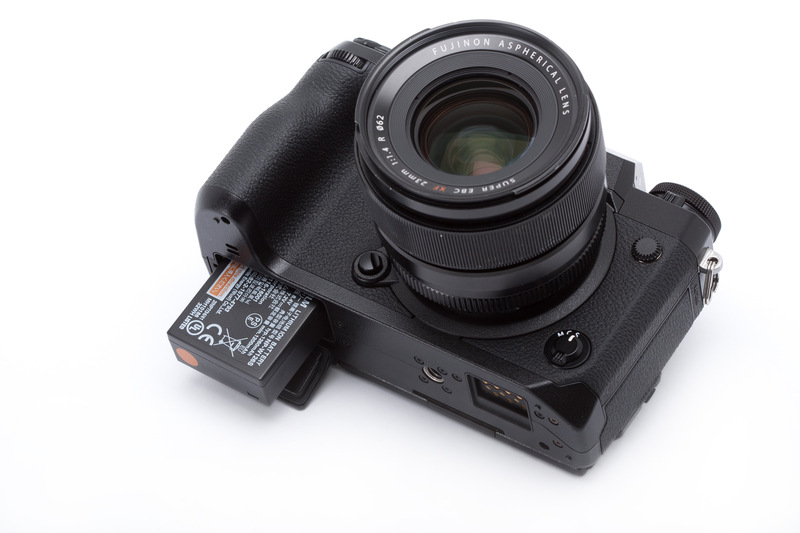 The X-H1’s CIPA rated battery life is 310 exposures per charge, compared to 340 from the X-T2. The additional video features mean the X-H1 has even greater appeal to stills/video shooters than the already capable X-T2. However, the in-body image stabilization is in itself going to make the X-H1 look more attractive to some stills-only shooters. As we’ve already seen in the comments, the increased size of the X-H1 is somewhat divisive. There are certainly ergonomic benefits to the larger grip but does mean the camera as a whole is substantially larger than previous X-series models. 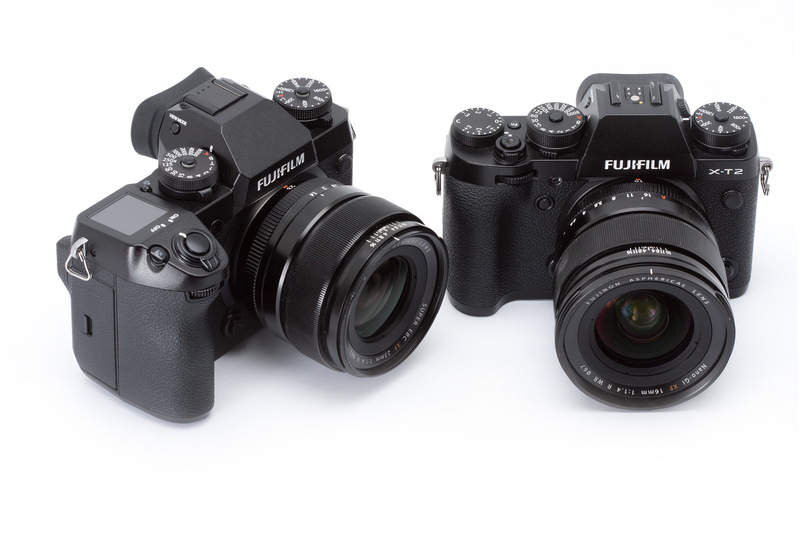 That said, Fujifilm’s range of APS-C specific lenses mean the combination of lens and camera is still smaller than the (often more basic) full frame models available around the same price.